All started their job as a pioneer... but see Anil Ambani. 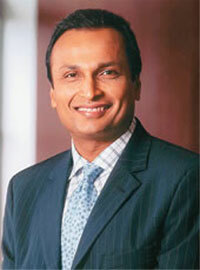 Anil Ambani (born June 4, 1959) is an Indian businessman. 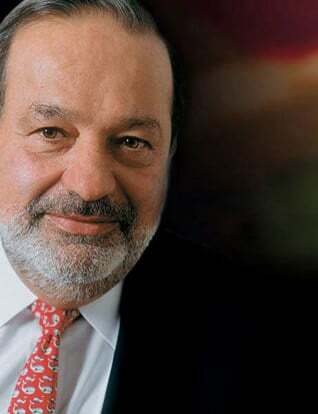 As of October 6th 2007, he has a net-worth of US$42 billion, making him the 6th richest person in the world. His was the world's fastest-growing multi-billion-dollar fortune in percentage terms as his wealth tripled in 1 year. Both the brothers are worth around 85 Billion US dollars. Ambani is the chairman of Reliance Capital, Reliance Communications and Chairman & Managing Director, Reliance Energy, and was formerly Vice Chairman and Managing Director of Reliance Industries Limited. His personal stake in Reliance Communications is 66%. Reliance group is India's largest business house, founded by Anil's late father Dhirubhai Ambani (1938-2002). His mother is Kokilaben Ambani. He is married to Tina Ambani (Munim) who was a well known Indian Actress in early 80's, and with whom he has two sons, Jai Anmol and Jai Anshul. The total investors' wealth in the four Anil Ambani Group firms -- Reliance Communications (RCOM), Reliance Capital (RCL), Reliance Energy (REL) and Reliance Natural Resources Ltd (RNRL) has reached 1,42,384 crore rupees, while total promoter holding is estimated at about Rs 87,000 crore. Anil's wealth comes mostly from his over 65 per cent stake in RCOM, which has a market cap of about Rs 1,03,000 crore. He also has over 50 per cent in RCL (market cap of Rs 24,000 crore), 35 per cent in REL (market cap of Rs 12,700 crore) and close to 54 per cent in RNRL, which has a market cap of about Rs 2,600 crore.His net worth subsequently plunges by over 60% owing to poor stock market condition in India led by ADAG stocks. Ambani holds a Bachelor of Science degree from the University of Mumbai and an MBA degree from The Wharton School at the University of Pennsylvania. Currently, he serves as a member of the Wharton Board of Overseers. Ambani joined Reliance in 1983 as Co-Chief Executive Officer and is credited with having pioneered many financial innovations in the Indian capital markets. For example, he led India's first forays into overseas capital markets with international public offerings of global depositary receipts, convertibles and bonds. He directed Reliance in its efforts to raise, since 1991, around US$2 billion from overseas financial markets; with a 100-year Yankee bond issue in January 1997 being the high point, after which people regarded him as a financial wizard. He has steered the Reliance Group to its current status as India's leading textiles, petroleum, petrochemicals, power, and telecom company. Anil was the member of Uttar Pradesh Development Council (This council has now been scrapped) He is also the Chairman of Board of Governors of DA-IICT, Gandhinagar and a member of the Board of Governors of the Indian Institute of Technology, Kanpur. He is member of the Board of Governors, Indian Institute of Management, Ahmedabad. He is also a member of the Central Advisory Committee, Central Electricity Regulatory Commission. 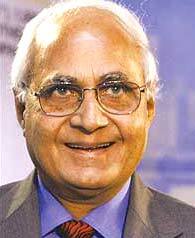 In June 2004, Anil was elected as an Independent Member of the Rajya Sabha - Upper House, Parliament of India with the support of the Samajwadi Party. In March 2006, he resigned. Recently after his brother Mukesh Ambani he also has his name in the books of Trillionaires. Anil has been linked with several starlets in his long career including his current wife of more than 15 years. He is a close friend of movie star Amitabh Bachchan . One of his major achievements in the entertainment industry is the takeover of Adlabs, the movie production to distribution to multiplex company that owns Mumbai's only dome theatre. On August 3rd 2008, it had emerged Ambani has become a leading conteneder to take over English Premier League team, Newcastle United in a £230m deal. Should this bid fall through, it has also been rumoured that he would be interested in a takover bid of League One club, Leeds United. Eagle-eyed viewers of Setanta Sports spotted his son, Joi Anmol conversing with Bill Kenwright and Rober Earl, the majority shareholders of English Premier League side Everton FC, during their final preseason game against PSV Eindhoven on 9th August 2008. Kenwright has recently confirmed that the club is looking for investment and is potentially for sale (sources for this include the club's official website) but it is not known if Joi Anmol's presence at the game indicates any interest in acquiring the club or simply reflects social connections.